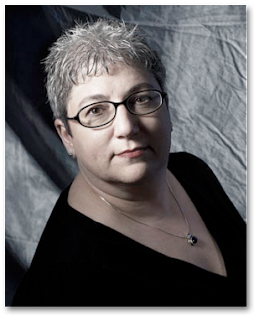 JULIA SPENCER-FLEMING: If you've been following along at home for any amount of time, you know I love, love, love historical mysteries. And you also know I'm frequently amazed at the amount of research that goes into them; pouring over old photos and court records, reading up on clothing and food. My friend Jeri Westerson, however, doesn't stop there. She rubs medieval memorial plaques. She tracks down medieval relics. She takes pictures of medieval underwear (I promise, she's not a perv.) Honestly? I suspect she started writing her "medieval noir" mysteries so she could feed her habit. She says it's to reproduce the 14th century world of Crispin Guest, disgraced knight-turned-detective, but I think it's an excuse for her to put on her armor and hit the lists. Two knights sit on horses and aim for each other with lances, trying to knock the other guy off the horse. This is what most people think a joust is. There was far more to it than that, and more than Sir Walter Scott even knew in his Victorian potboiler, Ivanhoe. Why does a mystery author give a joust the time of day? 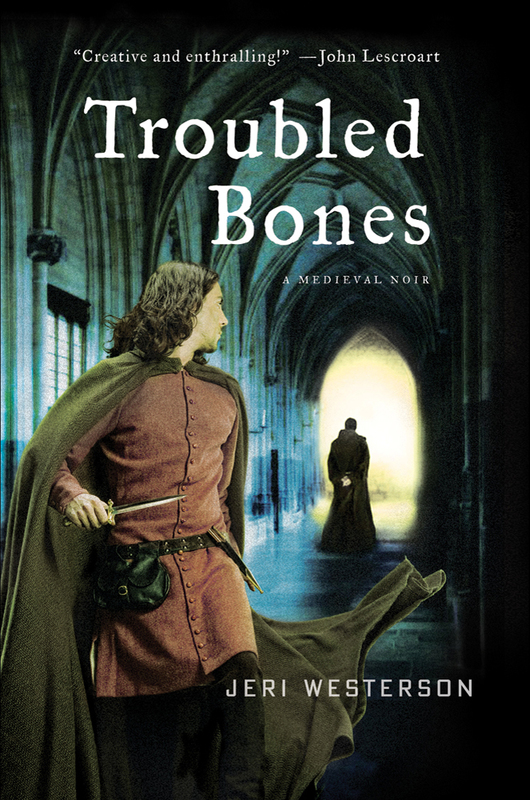 Because I write medieval mysteries, the Crispin Guest Medieval Noir series, to be exact, with my disgraced knight turned detective on the mean streets of fourteenth century London. But I digress. We were talking about tournaments. 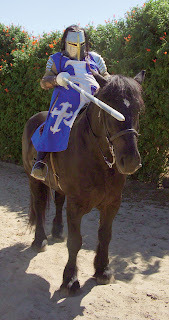 A tournament is not necessarily a joust, though a joust can happen at a tournament. Because a tournament is a competition of battling techniques, though it is likely it always involved some sort of horsemanship. The word tornoi from which we derive “tourney” and “tournament” alludes to a mounted charge with lances couched under the arm. It was a dangerous sport, but in the beginning even more so, if you can believe it. In the 12th and 13th centuries it was all about the mêlée or all out battle and these earlier games were going for the real thing with a field so wide it was set between the boundaries of two towns. If your village was unlucky enough to be in the way, well…let’s just say you got a front row seat. The lists were originally not the field set aside for jousting, but actually the place marked off to get out of the way of the battle. No one is sure where the word comes from. It might come from the lil, the designated spot in the French martial court where such games of skill were played, or from licium (band of material) or palicium (paling) the stuff surrounding the lists. At any rate, William Marshall, the knight of knights from the 13th century, wrote down many of the rules for being a knight and for the proper comportment at a tournament. He even explained how a young knight could make a lot of scratch from ransoms and prizes by “doing the circuit” of the tournaments. Of course, it’s all fun and games until someone puts out an eye. Or loses a limb. Or gets killed. There were detractors. The Church wasn’t happy with this careless use of manpower. Sixty men alone met their end in a tournament near Cologne in 1240, not from battle, but suffocating from the heat and dust. In 1193, Pope Celestine III declared an edict against tournaments but, maneuvering around it, Richard the Lionheart granted licenses for tournaments anyway. The Church went further to discourage it by declaring a ban on sacramental burial for those who died during a tournament, but the clever knights got around that, too, by slipping a monk’s habit on the dying knight and proclaiming him a cleric. As armor got better, that is, moved into the era of plate armor rather than simply mail, it became possible to support tournaments with fewer casualties. But it was the joust that made tournaments more acceptable because this was a bout between only two combatants at a time. The word “joust” likely derives from the Latin juxtare—to come together. And indeed, they do. Two men, mounted on chargers—big warhorses—run at each other between a barrier at full gallop, lowering lances aimed at the other. What could be better than that? There were three points on the body the knight aimed for: the four nails on the shield, the helm, or the throat armor. Usually, it was a test of three broken lances. If you could withstand the hits without being unhorsed, you could call a draw, keep going, or continue on foot. With time, more regulations were added and more order took over the rather rough and tumble that the tournaments used to be, making tournaments truly the sport of kings. By the fourteenth century when my books are set, a joust could be held for all occasions; royal weddings, coronations, and even for deciding judicial matters. 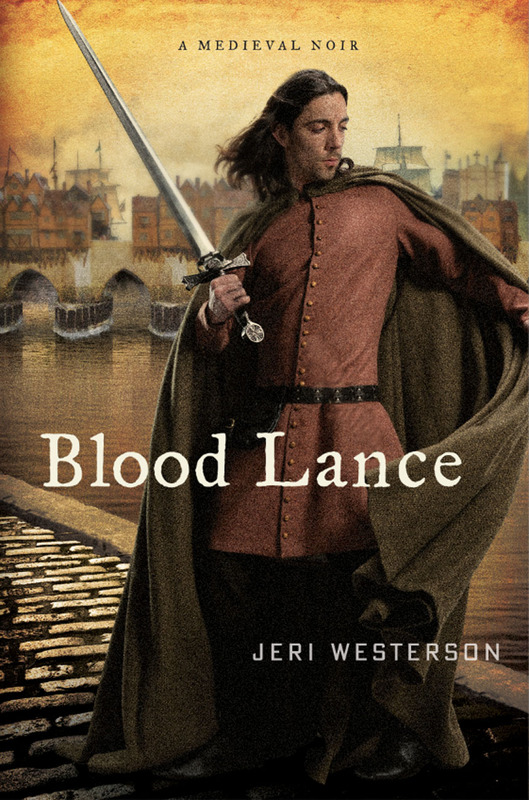 In my upcoming book BLOOD LANCE, one of the threads of the story involves a dishonored knight accused of desertion. Meanwhile, Crispin witnesses a body hurtling from London Bridge into the Thames. Whispers claim it’s suicide but Crispin insists otherwise. 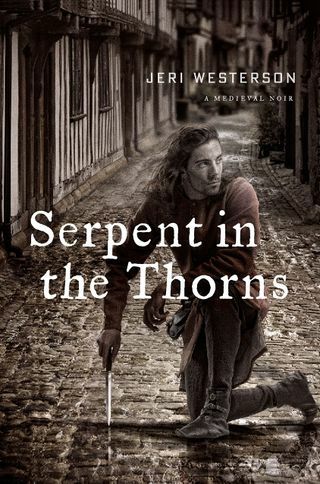 Now he’s caught between rebellious actions in King Richard’s court, an old friend’s honor, and the true ownership of the legendary Spear of Longinus, culminating in a deadly joust on London Bridge. Because such feats of arms always seem integral to my stories, I find myself doing a bit of hands on research. Yes, you can find me in armor now and again, doing my best to capture the feel of what my characters are going through, whipping a sword around, and harassing the populace. I was most definitely born in the wrong century. (And yes, those pictures are of me, doing my best research for Crispin). Jeri is offering a copy of BLOOD LANCE to one lucky commentor! So hop onto the back-blog and tell us what you'd have been doing back in the Middle Ages! I love Jeri's books! You can tell she does the research by the amount of detail that is just part of the story. So glad the series is a success. So nice to have you back Jeri! someone asked me last night what kind of research I do. I said "I go out to dinner." You are amazing though and we love the photos! Look forward to the new book. ps do you own this armor? What a tremendous amount of research you did, Jeri. I learned so much from your hard work. The only knowledge that I had of a Joust was what I've seen at the movies. I do love mysteries and finding new authors. This was a good way to start my day. Thank you! Hi, Jeri! Loved your books and turned my son, Ph.D. in medieval English lit, into one of your fans. Alas, Lucy, I do NOT own that armor, but I do have a cache of medieval weaponry I drag around with me when I do bookstore or library events. And Julia is right. I think I write these books as an excuse to swing a sword around. Grandmareads, as I always say: There are three places you should never get your history. One is a NOVEL, Two is a MOVIE, and Three is (god help us) the HISTORY CHANNEL. The movies have done more harm than good, but I suppose it does bring people to be interested in a certain period of history. Then the onus is on the reader to learn the REAL history. That being said, there are a lot of swashbuckling movies I love, usually of the Errol Flynn variety. The medieval times fascinate me. Last year I caught up on THE TUDORS, and some of the jousting scenes rekindled my interest. I've gotta pick up your books! Especially interesting that early on there was controversy about the tournaments. Who knew? I certainly didn't. Jeri, how have I not read your books? But I'm going to be a convert, I can tell you! I know you said movies (and by inference, TV) always get it wrong, but since you're the research expert, I'm curious about Game of Thrones. I know it's fantasy, not meant to be literal history, but I always wonder about the armor and the clothes and jousts. If you've seen the series, did they get it right? I still tell the story of the time I interviewed you, Jeri, when I had that internet radio show, and you told about getting the biggest slab of meat you could buy, nailing it to your children's swing set, and going at it to find out what it felt like to stick a sword in a body. I'm curious about your take on GAME OF THRONES too. 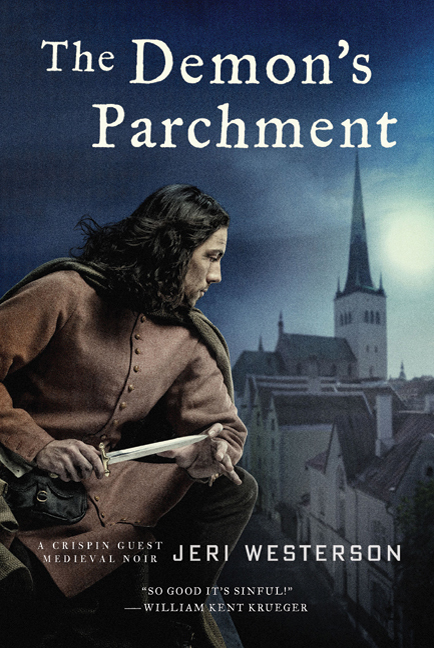 Love Jeri, love the books, love sharing them with a friend who adores the medieval period! What would we have been in the Middle Ages? Tracing my family backward -- and hypothesizing a LOT -- probably a younger daughter in a farm/serf family, which might mean being sent to the manor house as a serving wench or cleaning girl ... .
Leslie, I suspect the vast majority of us would find a lot of serfs in our backgrounds. My family name, Spencer, is an occupation surname, in the same family as Stewart/Stuart/Steward. So some ancestor, back in the dim past, was the steward of an estate. That always sounded like a pretty good gig to me - live alongside the nobility, but avoid all that dangerous going-to-war stuff. Nice question, Leslie! Knowing what little I know about my family history, we would have been innkeepers (in fact, we were sometime in 1800s Germany) or in some kind of trade like blacksmithing. Deb and Lisa, I haven't gotten into the Game of Thrones thing. It's pure fantasy so how is one to judge about armor and sword fighting? They can do whatever they want. Theatrical swordplay is a lot different from the rough and tumble of real sword fighting. I've researched that extensively and even had my own first lesson (to be seen on another blog or magazine article soon). I'd probably have been scrubbing floors, wherever I was. I LOVE the photos! You are so brave! My captcha word is "Basetur" which seems like a medieval rule about something, right? Hank, it does sound like that. But sadly, no. 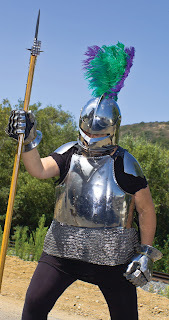 For a woman who has a suit of armor in her front entrance, this post is terrific! I've actually been to a joust, or better-said a joust re-inaction, in Stockholm, but it still remained a mystery as to what they were actually doing -aside from trying to knocki each other off the horse. So three specific spots, huh? HOw long could it go before someone called a draw? And were draws rare? A complete bummer to the audience? Jan, from my reading on medieval jousts, it doesn't sound like there were many draws, but it's really very exciting nonetheless. I have been to several competitive jousts and it's thrilling every time they make a run at each other. Really. Never a bummer. The horses with muscles rippling, the banners, the knights lowering their lances, the terrible shock of the crash, the splintering lances. Pretty cool stuff. Should be an Olympic sport. Typically, it came down to three runs, best two out of three, for breaking your lance, which meant you got in a good hit. Knocking the guy off the horse is just a plus but painful to observe. Not fun for the knight, either. Really wallops them. Great to see you on JRW, Jeri. Always wonderful time-traveling with you. 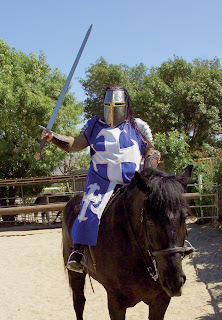 Have you caught any of that modern jousting competition show that's been on the History Channel? One thing I've wondering about jousting...How often did the horses get injured? Rhonda, I did watch one of those shows...once. But the thing about chivalric combat as it happened in the Middle Ages, it was more than just what those guys on TV were doing. It was an elite society of men preparing for real war with a set of values and codes of conduct that just can't be emulated on a smash-em-up show. And on the TV show they seemed to whine a lot. Not very knightly. Lisa, horses did get injured but if you were jousting correctly they didn't. You're not aiming for the horse, particularly if you wanted to win it out from under the other guy. Remember, if you were doing "the circuit" part of your winnings was the other guy's armor and horse. If you aimed for his helm or his shield, then the horse was likely safe. If the horse fell over, the knight would be in more trouble than the horse. In battle, though, it's a different story. You had pikemen who are aiming for the knights' horses. Stop the horse, stop the knight. Always fascinating to hear about the real thing. I do enjoy your books, Jeri. I'm afraid that if I were like I am now in those days, I probably would have died young due to my asthma & allergies! However, assuming relative healthiness, I imagine I'd be one of the scullions working hard & sleeping on the floor. Thanks for answering my question about horses, Jeri. Fascinating stuff! I think I'd be looking for a seamstress to make me a beautiful garment. Then I'd go looking for Crispin.